Virgin Atlantic seems to bring about surprise after surprise. 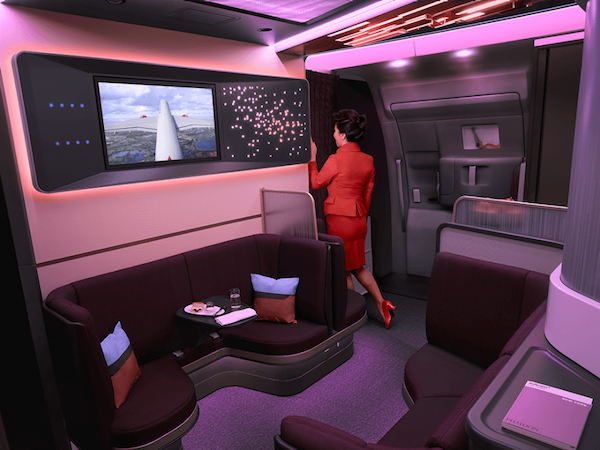 After redesigning its longstanding Flying Lady logo, the British airline makes yet another unprecedented move by revamping the cabin interiors of Airbus A350 completely, from Economy to Upper Class (British version of Business Class). The cabin is dressed in light velvet and off-white colors, with dark red seats that make it more aesthetically-pleasing than the regular cabins. Besides more legroom for the first four rows of Economy, the airline company is also offering a more comfortable two-four-two arrangement in addition to brand new leather seats for the Premium Economy section. For the Upper Class cabin, the layout is one-two-one, and the seat can be converted into an 82-inch flatbed. In the new set-up, all passengers can also control their screens with their mobile phones instead of having to tap on them. Perhaps the biggest surprise comes from The Loft, a new resting area where passengers can enjoy their meals and watch the plane live through the tail cam in the period between take-off and landing. There are also drinking spots and a 32-inch touchscreen display for passengers to enjoy. Tempted? 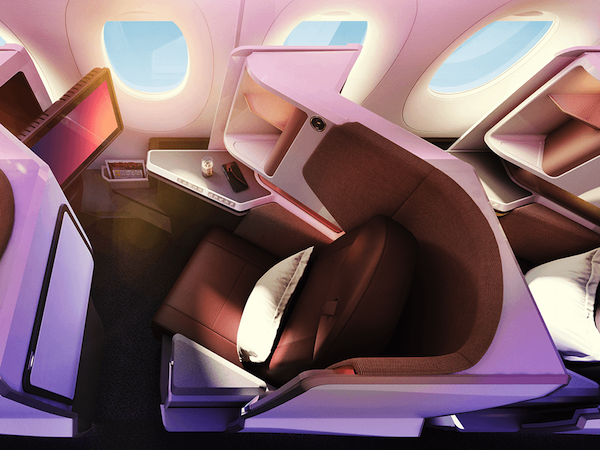 The first A350, aptly termed Red Velvet, will be debuting late summer this year, flying between London and New York. 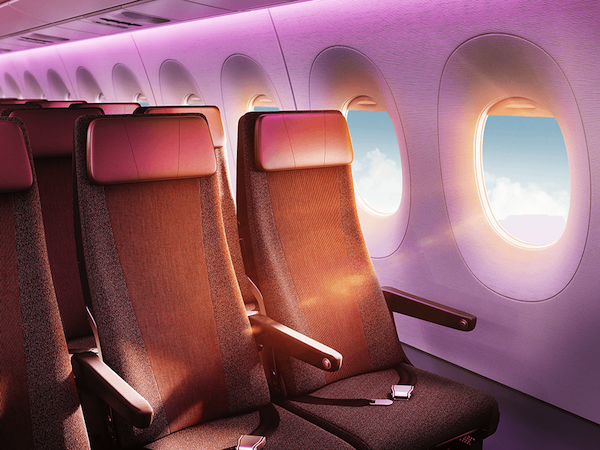 For more information, check out Virgin Atlantic’s official website.